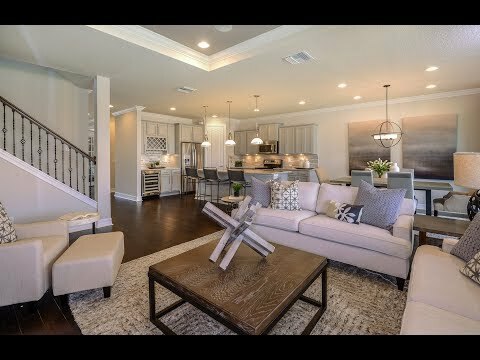 The Citrus Grove floor plan is known for its spacious gathering room making this home perfect for entertaining. Beautiful cabinetry is found in the kitchen and baths, and an everyday eating area means there’s space for a quick snack on the go or formal dining. A flex room on the main level could be used as an office, den or additional bedroom. The Citrus Grove, a two-story single-family home, maximizes its space. Downstairs, you’ll find a large kitchen that overlooks the café and gathering room as well as a private owner’s suite. Upstairs, you’ll find a loft and 3 additional bedrooms.